My mini mug cake jar makes a great sweet treat for Step Mum on Mothers Day or Stepmums birthday! 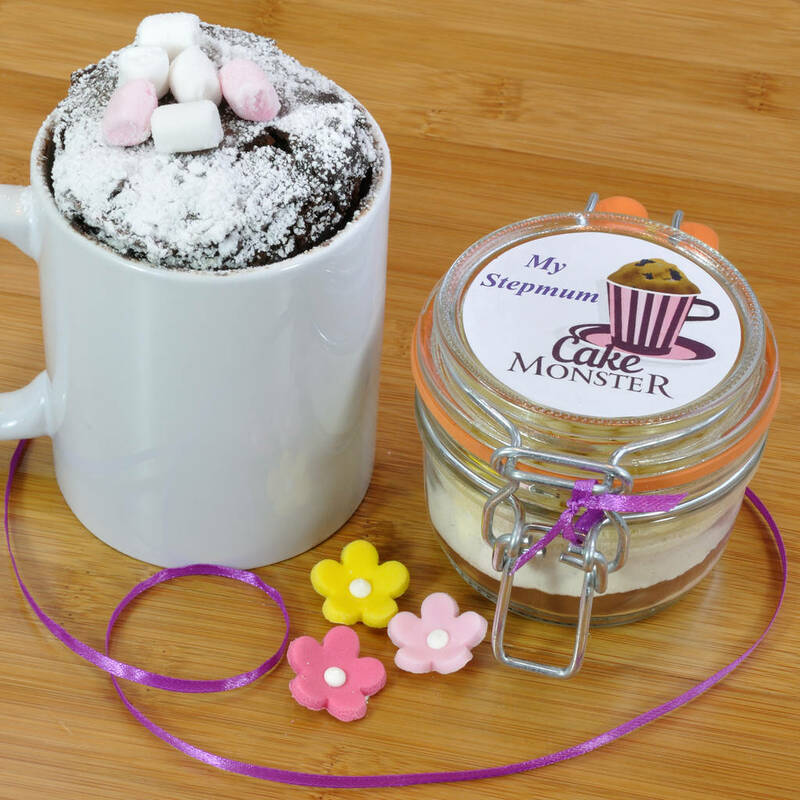 This mini mug cake jar is finished with my fun 'Step Mum Cake Monster' design and allows the lucky recipient to have fun in the kitchen making a warm, gooey chocolate cake in the microwave! 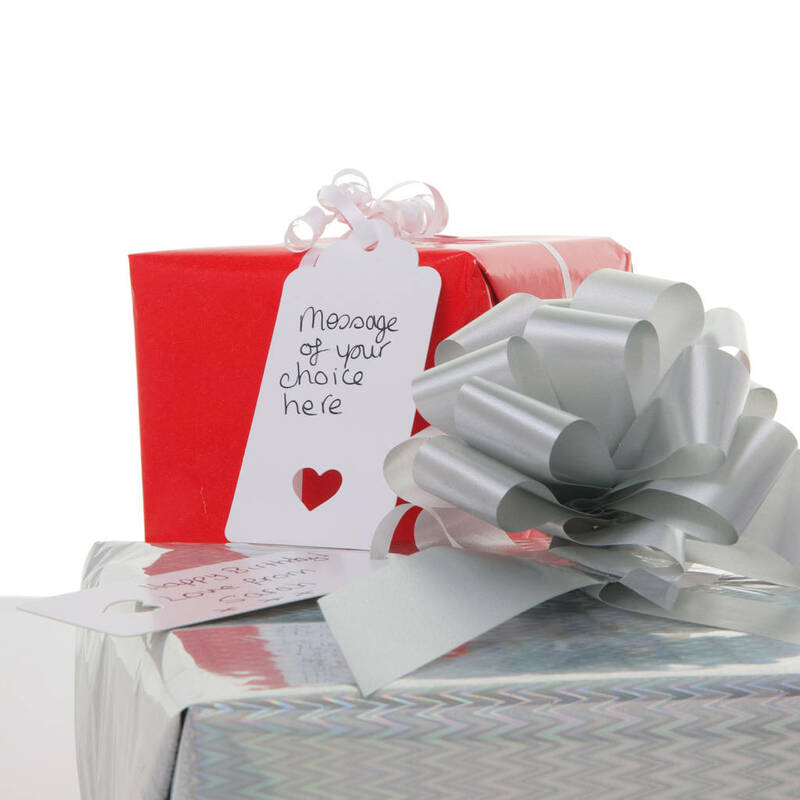 My mini mug cake mix comes carefully packed in a clip top glass jar full of the dry ingredients needed to make a yummy chocolate cake in a mug, personalised with the name of your choice and finished in matching violet ribbon. 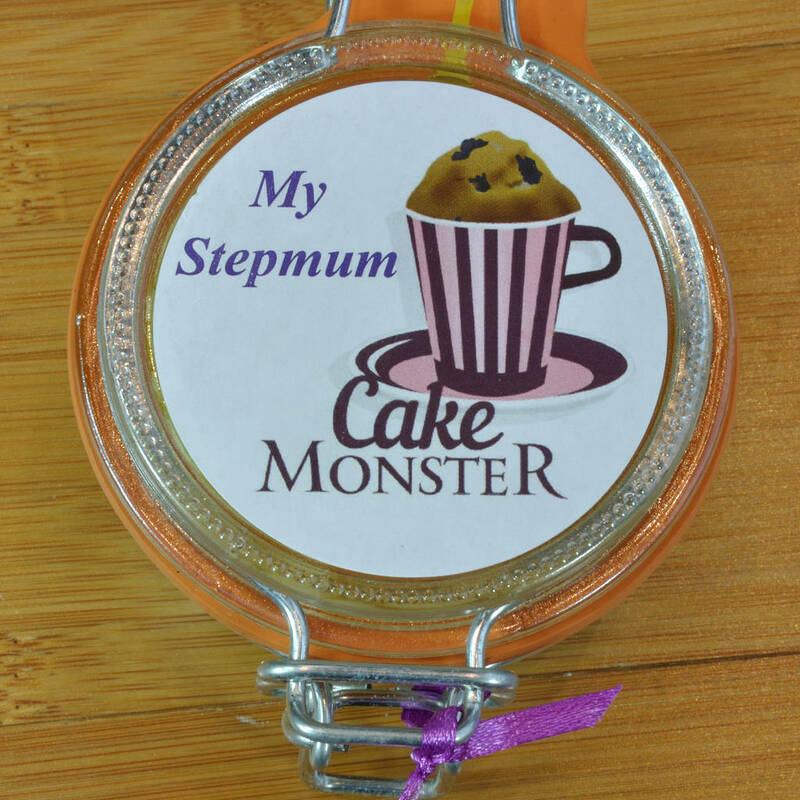 After eating the cake your Step Mum will still have the clip top glass jar to keep and use in the kitchen in future. 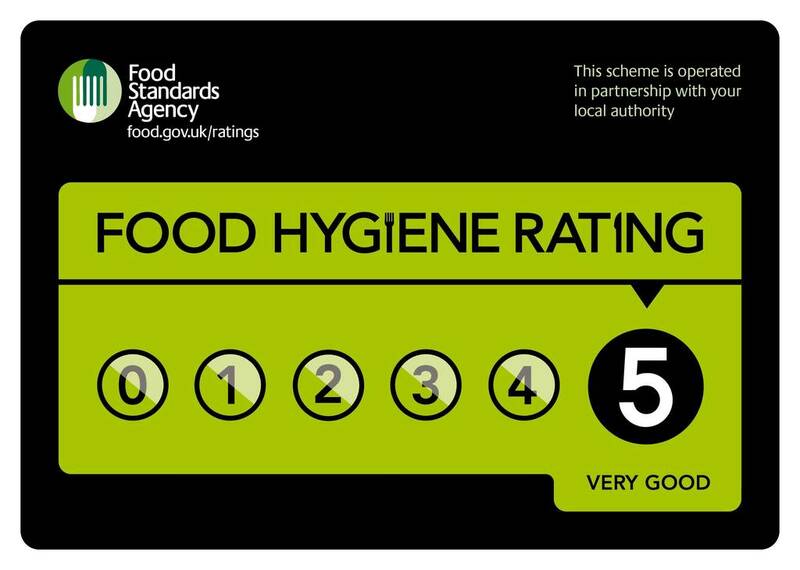 Have your cake and eat it! 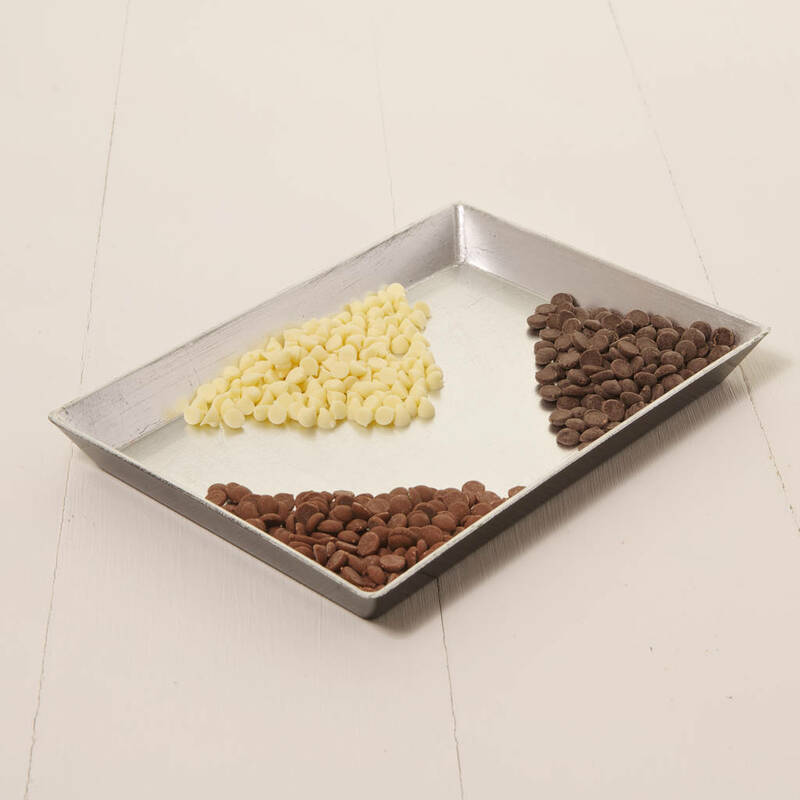 Choose from milk, white or plain chunks of quality Belgian chocolate in your chocolate cake mix - which would your Step Mum like best? CARE: Please note that my mugs and glass jars will have a longer life if washed by hand, not in a dishwasher.